Programs: DM, MCh, PhD, MD/MS, MDHA, MDS, M.Sc (Basic Sciences and Nursing), MPH and Fellowship in Emergency Medicine for 2018 Session. Details of eligibility, seats available, fee structure, admission procedure and other information are mentioned in the prospectus. 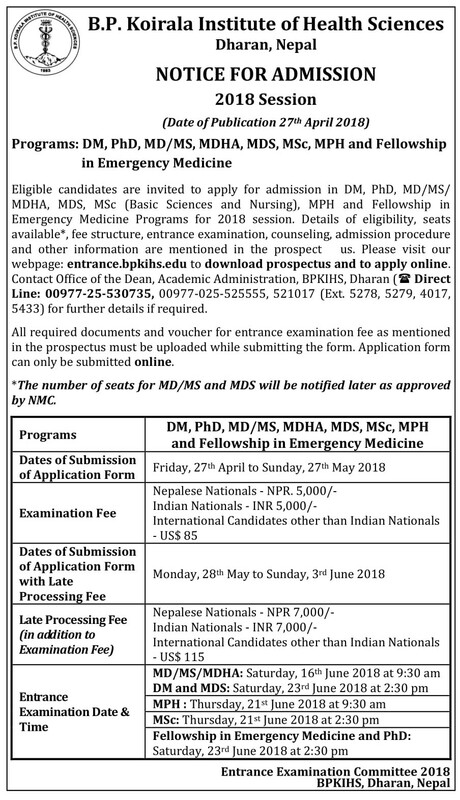 Please visit webpage: www.entrance.bpkihs.edu to download prospectus and to apply online.